A loan of $8,000 helped finish the development of the new mobile shopping center apps, so that we can provide our platform to be the digital hub of the local economy. I was born and raised in Atlanta, GA, where I grew up watching my hard working mother provide for our family alongside my father, who has been the owner of a construction company for 30+ years. Growing up, both of my parents made sure I experienced a taste of the entrepreneurial spirit. My mother made me go door to door and ask people to cut their grass for $20. My father had me learning the ropes of running a construction company and gave me the duty to oversee certain jobs for him. After college, I taught myself coding with extensive time spent studying and project learning. Additionally, I added other hobbies, with reading, outdoor activities and spending time with my kids. Some of the hobbies helped me launch two startups. Experiencing startup pains and failure first hand along with my own shortcomings ignited a flame in me to keep going until I reach where I’m destined to be. One part of that is by helping numerous startups through my work in a local entrepreneurship organization where I lead two outreach programs providing entrepreneurial skills and thinking to children and adults in the community. As a visionary, I'm very passionate about business and helping others in innovative ways. I'm driven to create opportunities in tech and grow my tech company to be an entity that impacts larger than what I can touch. Hashtagmall, LLC is that entity that will empower those in the ecosystem who need the leverage to find the success they seek. They need it and it needs them. I created it because the digital age is here and we must be smart and utilize what’s out there for the solutions to our businesses. A happy business makes a happy customer, which brings a better economy for all. 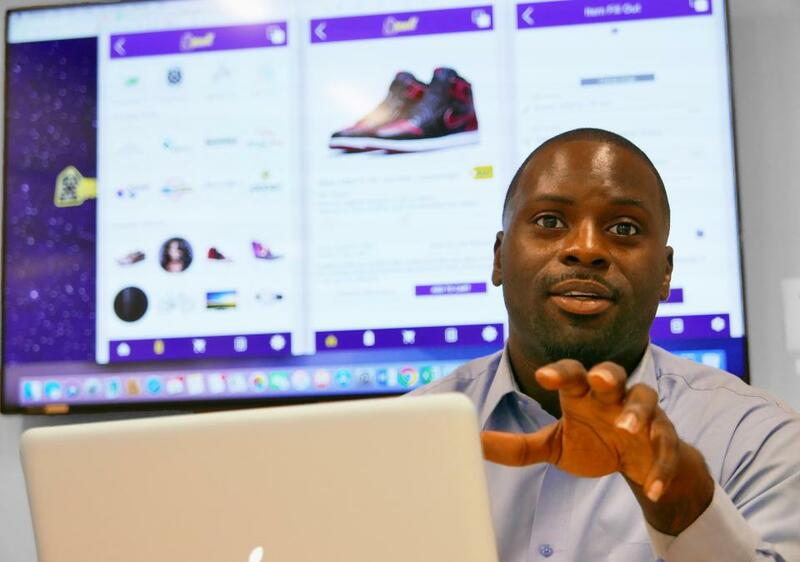 It helps an ambitious entrepreneur launch his mobile shopping center apps. #MALL is a new mobile shopping center framework, providing online and brick-and-mortar small businesses a “Merchant App” as a tool for their digital operation. Local buyers have a “Shoppers App,” giving access to search, follow or shop from any merchant product or service pages all-in-one place. Merchants are given a template where they upload photos, business information and inventory or service board for shoppers to discover and purchase in a variety of ways, without leaving the app on the go. #Mall is unique because we address framework market needs that serve as a barrier to entry to small and midsize businesses. Other marketplaces are just seeking to sell a merchant’s product in their store. Most online marketplaces provide minimal exposure and brand awareness for a business’s product that is sold on them. While they're using the same methods, our framework is built for online as well as brick and mortar digital needs. Our “Merchant App” is a mobile shopping center solution for small and midsize businesses. Managing their digital pain points and powering their digital mobile operations. Merchants are provided with a variety of purchase preferences based on the business type “online or brick and mortar”. This is very unique and currently not a service being provided by any commerce or marketplace competitor. Our biggest objective is to increase the viability and visibility of individual and local businesses. This gives us the ability to make the world available to the “Main Street”. Our “Shoppers App” is populated with a variety of merchant and service profiles. This allows users to see inside businesses before they shop, providing them with various categories based on their needs of choice, while on the go. Our company would utilize the Kiva loan to pay for cost of the development, for pre-launch, post strategy and marketing tactics. Mobile app development: $3,000, branding (pre-launch marketing materials): $1,500, content marketing (viral video): $1,000, website development: $1,500, and three app orientation events (minority, online + brick and mortar and service merchants events): $1,000. Our launch event will provide local brand ambassadors and micro influencers as well as bloggers to get the word out through their social portals, press, news, and radio channels. This will result in us achieving our first 100 merchant registrations in the area. #Mall strives to impact Chattanooga’s economy by providing our tool to empower under-resourced businesses with leverage to capitalize on digital sales while retaining the community’s engagement in local businesses. Our platform will put Chattanooga’s strong small businesses on display to local registered residents and visitors awaiting to experience the city. Raising awareness and visibility of local brands that reflect the city’s effort and dedication to growth in small business. After receiving the Kiva loan for our beta app launch, #Mall will have a prequel event, introducing the merchants and products to the southeast region. This event will bring regional and local retailers to one location for shoppers to see brands and purchase products being sold on our app. We’ll use the momentum and following to launch the app in ten targeted cities in the southeast market. After, we’re expecting to raise additional capital to set us up to expand our activities and platform across the east coast to sign up over one million merchants and service providers onto the platform. Why are you endorsing Erroll? Erroll is a go-getter. He has a passion for small businesses and has built his platform to allow small businesses to access a larger market by making online selling convenient for them and by centralizing a place where shoppers can purchase from local vendors. He's a great person supportive of the community.